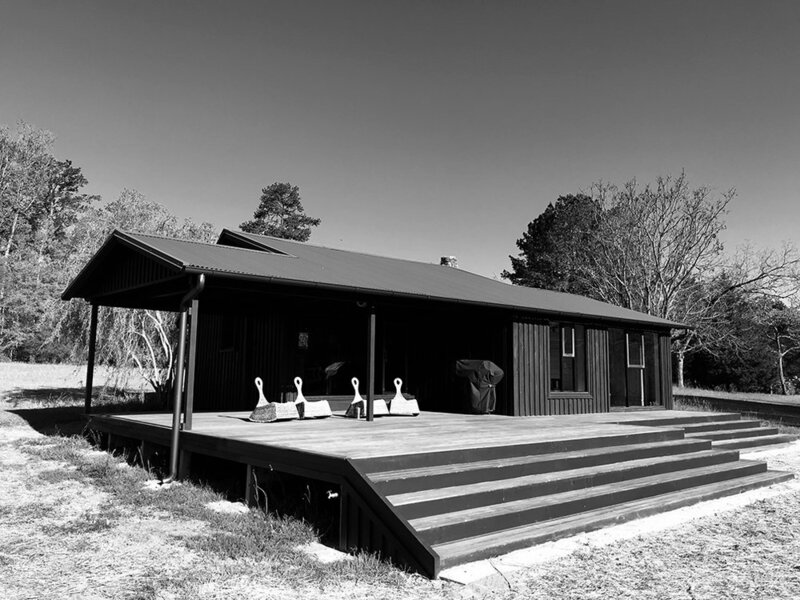 We recently completed the River Cabin at Towerhouse Farm. 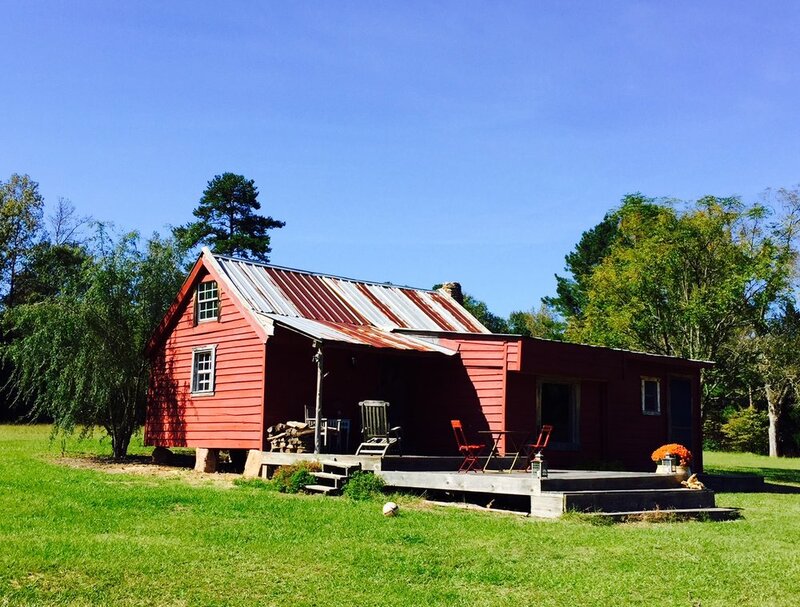 The River Cabin is an old sharecropper's cabin dating back to 1872 and we gave it a rustic modern makeover. The footprint did not change much I just added a deck made of Epe wood that extends the length of the house. The windows were designed by Skyler Morgan and we stained it a shou sugi ban black. We do a lot of entertaining at the farm so this cabin will provide more accommodations for guests.